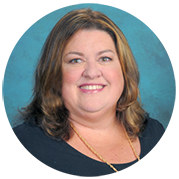 My name is Melissa Murphy and as the Data Administrator for Aliso Viejo Christian School, I am responsible for maintaining the INow school database, front office fun and bandage and icepack central. My husband, Kevin and I have been married for almost 17 years. The three of us have been attending church at Lutheran Church of the Cross since 2007. Our family is very active in Taekwondo and Basketball. We love the pool, the beach, travel, long road trips, movies and spending time with our dog, Tucker. What a wonderful school we have in AVCS. It is such a blessing to work here, with people that I love like family and students that bless my life daily. It is a privilege to be a part of this ministry being able to witness His work in our children each and every day.